It’s time you consider giving your kitchen an Italian makeover. They say cooking is an art, and what better way to feel inspired when whipping up feasts than by having a beautiful and ergonomic kitchen? If you’re obsessed with how your cooking area looks and functions, a makeover may just be what it needs. Not only will a quick revamp up your home’s style, it can also give you an opportunity to invest in the right must-haves for the kitchen of your dreams. Showcase the beauty of natural wood on your walls and floors, and even as an extra prep area. A peninsula layout for your kitchen allows you to extend the counter and use it as a dining nook. Make it extra inviting by having crates and stools with wooden seats as part of your décor. This Antiquated Pinewood Peninsula highlights a lovely and sturdy wooden piece that can function as an extension of the work area and as a breakfast bar. Bricks are commonly seen in rustic kitchens. Aside from using these as part of an accent wall, they can also serve as a backsplash to complement the wooden pieces in the space. Update this combination by bringing in dark wood and stainless steel or metallic finishes. Install chic droplights to polish up this look. Created by Italian architect and designer Piero Lissoni, the Aprile kitchen emphasizes the significance of using natural materials. Its countertop incorporates the washbasin in one piece, creating a space that’s sleek and functional. Don’t limit yourself to the use of bricks. Cement walls can be the best backdrop for your topnotch appliances, wooden pieces, and elegant fixtures. Since these walls are bare, your chosen décor and materials will stand out. If you have enough space for shelves, consider having a floor-to-ceiling or wall-mounted storage piece. Let your shelves do the talking. The Brompton by Piero Lissoni features aluminum uprights and matte melamine shelves that will fit effortlessly in a modern rustic kitchen. The best part? It will give your kitchen an industrial punch as well. A kitchen island comes as an extra design element that can make tasks easier to accomplish. Aside from giving you more space for preparation, it can also double as storage for dinnerware, utensils, and other essentials. If space poses a concern, the Minikitchen Outdoor by Joe Colombo and CRS Boffi is an island and trolley in one. Compact and easy to transport, it can help you get cooking done in a breeze with its electric hob, storage compartments, sockets for small appliances, and a spot for a mini refrigerator, too. Beyond the wood, bricks, and exposed beams you can incorporate into your kitchen’s look, the countertop can tie everything together for a space that’s elegant and envy-worthy. Marble countertops can instantly add sophistication to your space and when paired with wood, they create an ambience that is casual and laid-back. An iconic modular kitchen system, the Xila is a masterpiece of Italian architect and designer Luigi Massoni. The first kitchen available without handles, it can give your space a sleek and streamlined look through lightweight drawers and doors that conceal the appliances. Ready to work on your kitchen makeover? Find the best products and shop for your home and design needs when you visit Boffi Studio Manila. A brand known for its unparalleled craftsmanship since 1934, Boffi has collaborated with world-renowned designers like Piero Lissoni, Antonio Citterio, and Luigi Massoni to create innovative kitchens, bathrooms, and storage systems. Aside from its distinct style and excellent design, Boffi offers first-rate materials and tailor-made solutions that are guaranteed to change the way you live. 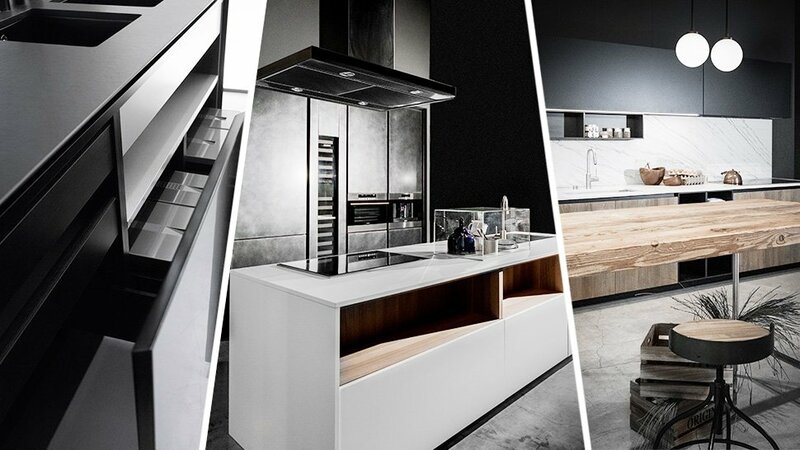 To celebrate its second anniversary in the Philippines, Boffi is ready to welcome design professionals and homeowners to its remodeled Manila showroom, where its latest kitchen, bathroom, and complementary lines are on display. Boffi is exclusively distributed by Focus Global, Inc. Visit Boffi Studio Manila at the Ground Floor of The Residences at Greenbelt, Makati City. It is open Mondays through Saturdays from 10am to 6pm. Visit boffi.com to view the complete Boffi range. This article was created by Summit StoryLabs in partnership with Boffi.